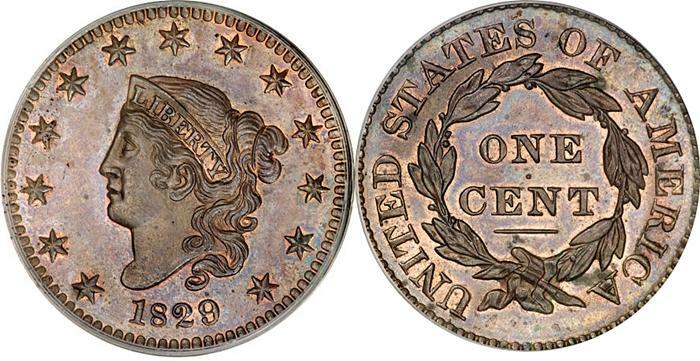 Mint state (MS) and key date listed Coronet Large Cent values is for graded, certified and authenticated coins in PCGS or NGC holders. The rest are a sample of raw coin sell but this is not a guarantee your coin with the same date, mint, grade and holder will sell for this exact value. Coronet Large Cent value is determined mostly determined by the rarity of the date. Low mintage dates are worth the most but it should also be noted that mintage figures for any date is what the mint recorded and not how many survived over the years. So Coronet Large Cents are more rare than their mintage implies. 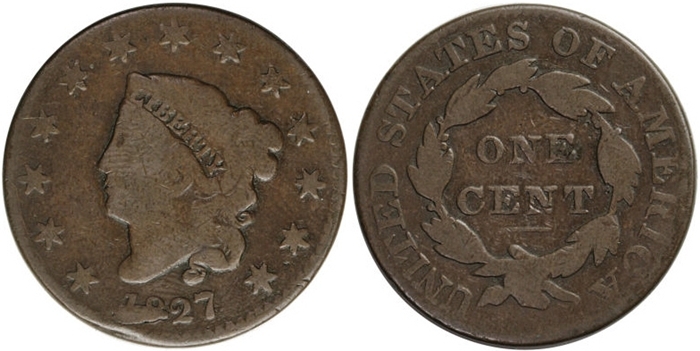 The key date, besides some varieties, is 1823 that starts at $120 in G4, followed by the 1821, but most are worth about the same value and they start out at $20 in G4. You can often buy most dates a few dollars cheaper but look out for problem coins. The coin must be a problem free coin to bring that much. The proofs of this series are extremely rare with less than fifteen known for most dates, and they’re worth thousands of dollars each. However there might still be some unidentified in a collection somewhere. So any candidates should be sent to a reputable grading services to be authenticated and certified. 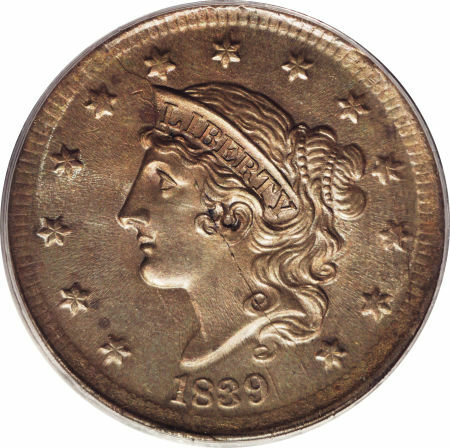 This series doesn’t have a mint mark so all were minted at the Philadelphia Mint. As pointed out before, Coronet Large Cents are all about the same price in G4, with 1923 and 1921 being the exceptions, but as they increase in grade so do they in value. You also have three conditional factors that determine the value of a Coronet Large Cent and they are: Red (RD), RB (Red-Brown), BN (Brown). A RD coin is going to have at least 90% original luster as struck by the mint and is the most valuable condition. The luster conditions only apply to mint state coins so any circulated coin will be designated BN. The Coronet Large Cent value tends to begin an increase in EF40 (extremely fine) and AU (about uncirculated) they almost double in value. So an AU50 1836 has an estimated value of $200 and an 1823 in AU50 is worth $4,350 and that’s about the value range for non-variety examples. There’s a large number of varieties for this series, and too many to go into to detail about, so I will mention the most popular and a couple values. I encourage you to consult a book on the subject to learn more about the varieties and the values. If you want to collect varieties then it’s important to learn the name Newcomb. It’s the last name of a man named Howard Newcomb and he studied and classified large cents and the N of his last name is used to help classify the varieties. Some examples of this is N-23 or N-11. The Coronet Large Cent series has several varieties that include but not limited to: Silly Head, Booby Head, 13 or 15 Stars, over-dates, large dates, repunched dates, misplaced dates, small dates, large dates, medium dates just to name a few. You can consult the list below for more details. Coronet Large Cent value by date, mint, grade, condition and variety.